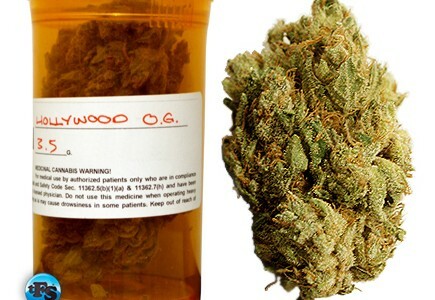 For centuries, marijuana has been used as an herbal therapy to treat an array of ailments. It was seen as early as 2737 B.C. when the Chinese Emperor Shen Neng prescribed marijuana tea for the treatment of gout, malaria, rheumatism, and oddly enough… poor memory .The mysterious healing powers were a phenomenon in Asia, Africa, the Middle East and ancient Greece. It even made its way over to Jamaica where Bob Marley enjoyed the feel good effect! Today, marijuana has proven itself to assist in treatments and ease the symptoms of common diseases like cancer. There are currently thirteen states that have legalized the use of medical marijuana and a handful of other states that are considering passing the bill. California is one of the biggest advocates for Medical Mary, and is the only state to utilize “dispensaries” to sell medical grade cannabis. However, most states won’t give medical marijuana a second glance due to the FDA’s claim that it has a high potential for abuse. So, why don’t we clear the smoke out of the room and weed out some facts. Chemo is a pretty harsh treatment with some unwelcomed side effects including nausea, vomiting and aches & pains. There are other drugs to help control these symptoms, but why would you want to put MORE toxins and synthetics in your body? When Melissa Ethridge was fighting breast cancer, she found that going the reefer route was much more effective than taking 5 or 6 prescriptions a day. Medical marijuana has been proven to reduce chronic pain, nausea, vomiting, induce hunger, soothe inflammation and relieve the stress that comes along with a severe illness. It also seems that taking the synthetic version of THC is not as effective as the real thing. Inhalation is 1 to 4 hours faster in reducing nausea and vomiting than ingesting a pill like Marinol. However, there’s an even better alternative called a vaporizer. See…carcinogens, tar and othertoxins are released when you heat organic matter to combustion. By smoking with a vaporizer, you are actually getting more of the benefits without all the harmful stuff! Medical Marijuana has been trusted for centuries and still upholds its therapeutic qualities today. So if you are affected by the cruel side effects of chemo or other cancer related symptoms, why not try something new? The only way we gain true knowledge is through our experiences! —-> We would love to hear your opinion about Medical Marijuana. Drop a comment below!